In an interesting turn of events, a product that Apple hasn't even announced is currently earning more attention in the press than Microsoft's ultra-hyped, astroturfed, press-blitzed iPod Killer. In fact, Apple's still unannounced iPhone has rocketed the company's market valuation to an all time high, meaning that Apple has made more from silence than Microsoft has earned in actual sales of its new player. After Apple's stock price surged to a new record high, it then retreated on further rumors that the iPhone might be delayed, only to again recover the next day. With that kind of wild publicity power, its no wonder that Apple has been biting its tongue. Unfortunately, Apple's silence leaves the iPhone-curious stuck with the writings of pundits, many of whom are bitter that Apple has repeatedly proven them wrong in their prognostications of imminent Apple woe. CNET's Michael Kanellos decided to shamelessly open his Apple iPhone attack with a warning that his opinion was designed to "antagonize Apple fans." Maybe Kanellos should instead be trying to enlighten all his readers. Kanellos is certainly not the only writer taking shots at rumored Apple products, but his article, like CNET colleague Charles Cooper's earlier iPod Attack, is so consistently bad that it makes a great outline for describing what I like to call the CNET School of Bad Analysis. Kanellos starts out by inventing a series of ideas to critique: an imagined gushing review of the iPhone, then a hypothetical Apple colostomy bag, then invented memories of historical products, supposedly from Apple, including a "random video camera" and previous cell phones. Facts are optional at CNET, where writers can make up ideas and invent quotes to support their agenda. When Kanellos ventures into the world of facts, his arguments start to break down. He attempts to write off the iSight and Airport wireless networking as "would-be hits," apparently failing to grasp that Apple makes considerable money on both, and that that each is key to Apple's ongoing product strategies. While Apple hasn't ever sold the "random video camera" or "cell phones" that Kanellos seems to recall, Apple has sold generations of Airport wireless and lots of iSights, pioneering both product categories with higher quality offerings that are significantly easier to use than competitors'. Apple also leads in consumer brand awareness in both areas. Sales of the iSight, a high quality Firewire camera that is sold at a premium over the cheap, low quality webcams common on PCs, have only gone down recently after Apple built cameras into all its laptops and iMacs as standard equipment. Anyone who thinks Apple's Airport software isn't miles ahead of what's available in Windows or from third parties simply hasn't ever used it. Airport plays a major role in Apple's education sales, and is also tied into iTunes and contributes to the company's iTV product strategy. Airport and iSight are not would-be hits, but rather distinct home runs. There are plenty of failures and missteps Apple has made in the past that can be criticized, but confusing reality of existing products with supposition and conjecture isn’t an honest or credible way to write news analysis. If Kanellos isn't aware of today’s reality, how is he qualified to talk about the outlook of future products? If Kanellos is looking for credibility of his CNET article, he needs to stop beating up the ridiculous claims made in earlier articles published on CNET. 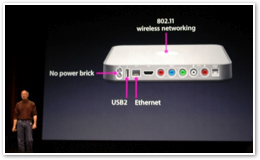 His first was a January 2005 article that asked if the Mac mini would "spur a petite PC revolution." Of course it did in sorts, but Kanellos seems to prefer think Intel's AOpen rip off showcase didn't happen, and that the Mac mini isn't selling for Apple. Perhaps he needs a fact checker. In any event, the idea he's criticizing was originated by CNET. Apple never claimed that PCs in general would suddenly become small and highly integrated. PCs have been big empty boxes that have only gradually changed since 1982. He then quotes a CNET article from 2002 and suggests it as proof that some thought Apple would drive PC prices higher. Except that the article didn't say that at all. For further strangeness, Kanellos actually wrote that earlier article, so he should know what it said. Criticizing your own writing as a source of ridiculous sensationalism does not help in making your point. After half an article on colostomy bag speculation and references to failed Apple cell phones and video recorders that didn't ever exist, little remained of his space to fill between all those ads. This is where the actual smack on the iPhone begins, so let's consider why his ideas are wrong. Kanellos starts with the idea that Apple's iPod success was a stroke of luck centered entirely on choosing the 1.8" hard drive. Based on that, he announces that the iPod "looks like it may turn out to be a non-repeatable experience." However, there has not been one iPod. In the first three years there were three generations, then the iPod Mini, the Shuffle, and the Nano, and two more generations of iPod and then another new generation of each line. So the iPod isn't a single shot like Microsoft's would be killer, but a volley of ten different models, each of which blew away its competition. In retrospect, its easy to say the iPod was a simple success. That forgets that the original iPod only took over the hard drive player market. Apple played a calculated risked in targeting the flash market with the Mini, then again targeted the low end remains with the Shuffle. Each effort was a success, and continues to be. Meanwhile, Apple not only faced the existing market leaders, including Creative, but also weathered an industry wide assault by Microsoft's PlaysForSure, an initiative CNET writers did not exactly bet against. That's also when CNET started describing how Microsoft's new solo effort was going to take over the world and how the iPod was threatened with imminent crisis. Apparently, CNET’s analysis applies differently against Apple and Microsoft, and that difference flies in the face of actual facts. To suggest that the iPod is a one hit wonder that magically lasted for five years is plainly absurd. Strike Four: Ignore Real Problems, Invent False Ones? Kanellos does throw Apple a bone by observing that the iPod "conquered the problem of small screens and cheesy navigation," but then continues, "unfortunately for Apple, problems like that don't exist in the handset business." Quick, somebody find a cell phone and bring it to CNET. Is there anyone who uses any cell phone who thinks its interface is elegant or even decently functional? Anyone who has supported real users knows that most phone functions go unused simply because they are too complex. Todays phones are certainly thin and feature rich, but they suffer from the same problems as music players that predated the iPod: incoherent navigation and overloaded controls. It's a software problem, not a hardware one. Kanellos says Samsung has "scoured the world's design schools and hired artists on three continents to keep its phones looking good," but he misses the point: technology isn't all about looking good, its about being functional. In the same breath, Kanellos discounts Apple's chances in developing a phone by saying "music players are fairly easy." But if Samsung is doing so well in design, why can't it bite off more than a tiny fraction of the music player market, which is, according to Kanellos, so brain dead simple? Even ignoring the fictitious Apple products Kanellos made up, there are plenty of products Apple designs and delivers that make it obvious that putting out a phone would not be a serious challenge for the company. Heard of the video conferencing, wirelessly connected Mac Book? Seen the Nano? These are top sellers, competitively priced, with features unmatched by others. 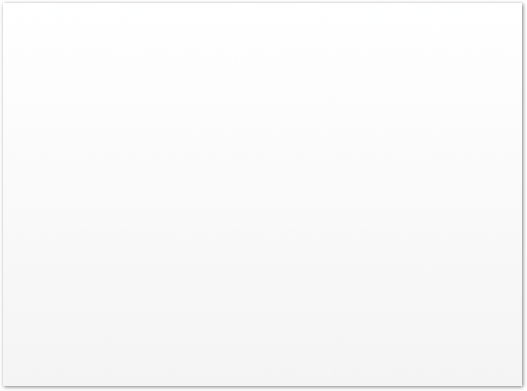 Apple is not a company of robot thumbs that can't deliver products. Phones quite obviously need help in user interface design; Apple has no problem in developing technology. After blowing so much hot air in his efforts to be antagonistic, Kanellos' most remarkable failure is in not completing the point he almost made. He had an opportunity to compare Apple's successes to Microsoft, but dropped it before any facts were involved. Kanellos argued that Apple's past success would not necessarily allow it to "break into other categories and turn them upside down." 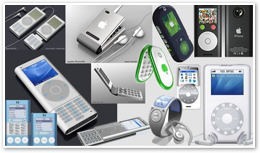 But Apple actually has managed to move from PCs to consumer electronics, with an array of iPods that have all been highly successful, as well as Airport, iSight and other significant products. Tellingly, the writers of CNET style content use the opposite line to support Microsoft's efforts outside of Windows. They have hammered pro-Microsoft FUD into nearly every article they publish. The bottom line: wait and buy Microsoft's version; it may be here any day now. However, they've been wrong for the last five years regarding Microsoft's imminent take over of smartphones, music players, game consoles and tablet PCs, so why are they quick to turn around and beat Apple with Microsoft's problems? Why didn't Kanellos backtrack on half a decade of FUD? Clearly it's not in his interests as a writer for CNET. 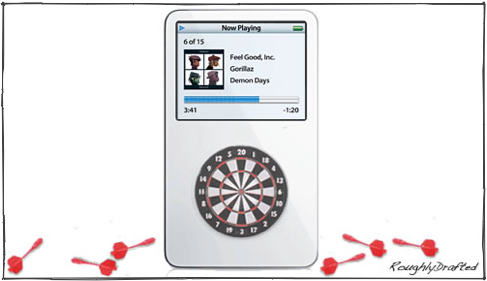 Writers of CNET style publications coined the phrase "iPod Halo," to describe how satisfied iPod buyers might drive new sales of the Mac as well as create general brand awareness for Apple: elementary cross marketing. The main reason the iPod Halo phrase was invented was so it could be brought up repeatedly to question its existence and legitimacy. This is an effective way to instill fear, uncertainly, and doubt, because it isolates jingo-like phrases from reality. What's your opinion on the Colored Sky Theory? Do you also question the Round Earth Theory like so many others? Do you think the Global Warming Theory is personally inconvenient? Kanellos brings up the iPod Halo, but refers to it a theory of his own naming: "iPod Magic," as if he reinvented reality in a slightly less credible fashion that is easier to debunk. You don’t believe in magic, do you? He then cites his previous column, where he doesn't question Apple's Mac growth, but does quibble about how much the iPod contributed. Kanellos also seems unable to grasp that Apple turned around from a near death experience in 2000, just in time to suffer a devastating blow in 2001 by the collapse of the dotcom market. One can't understand the present without understanding the past. Despite Kanellos' rambling efforts to discredit the iPhone before anything is really known about it, it is quite obvious that Apple's core competencies offer a lot for the prospects of a mobile phone product. It could also tie in well with Apple's other products, including the iPod and the iTV, and naturally fit into Apple's retail store efforts. A followup article will describe how in more detail.